Today we delived a large 3 metric tons of compost to one of our favourite clients in Brighton. The client has extensive gardens around their property, which includes a large orchard, vegetable patch and numerous large flower beds. We also built the close board fence around the clients property a couple of years ago. We don't just deliver compost by the metric ton, we also deliver in 40 litre bags. Delivery is also free in the Sussex area. 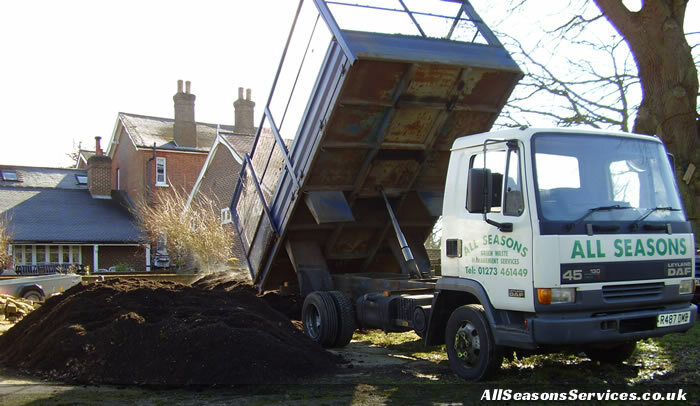 Click here to find out more about our free compost delivery service, or just giv eus a call on 01273 461449.